Are you a mouse potato? Well, then this article is going to be a holy bible of best mice you would find in the market. But here is the catch, this ain’t going to be your ordinary wired mouse hanging out from the computer, or rather the wireless one boasting to be the 21st-century tech, instead, something that is more heavily tweaked in the body shape or you would call it the ergonomics mice. Many are unaware of this existence, but once you diffuse through this article, you’ll have an idea about why and which! Before we could jump down the list, a couple of questions need to be answered and the obvious one is ‘What is an ergonomic mouse?’ Technically a mouse with a superior design sculpted for the comfort of user handling it. The mouse has special groves and a weird odd shape which would comfortably fit into your palm alleviating various syndromes that cause muscle strain such as Carpal Tunnel Disorder and Repeated Stress Injury (RSI). 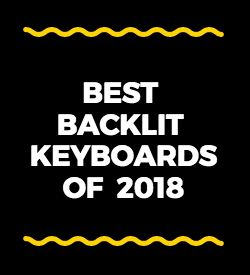 The former is caused by extended handling of mouse causing numbing and tickling sensation on the palm, on the other hand, the latter is caused due to frequent or repeated activities like typing, using a mouse etc. One best solution for the above is, simply to quit using a computer- which is an impossible solution or to start using an ergonomic mouse. This weird looking mouse at first glance might give you a jolt but once you started using it, all your never-ending worries and concerns will be taken care. Here we present part one of the best ergonomic mice out there in the market. Best things first? Or let us find it out what makes Logitech’s MX Master 2S into our list. Always the workability is one factor that is most concerned with peripherals like mice, and Logitech MX Master 2S is no less short of a description decorated as one of the most workable and handy mouse out there in the market. The mouse can be synced to more than one computer and all you need is to simply move the cursor from one system to another to switch. All modern garnishes like a rechargeable battery, tracking versatility, intelligent scrolling etc. are also included in this package. The pricing may not be aggressive compared to other competitors on the market but taking into account the brand value, extended product line, customer support and indeed the quality of the product, a price tag of $120* doesn’t make the product stand out of best picks. If reviews could speak then this is the best mate in the market if you are looking for an ergonomic mouse. There are a ton of features that would amaze you moreover, it is the price tag that would astonish you. While the MRP is around $57, you will be able to find it for half the price on online shopping sites. Being the best seller in Amazon alone would make this our first choice, apart from features like smart design, well-built quality, static tracking etc. 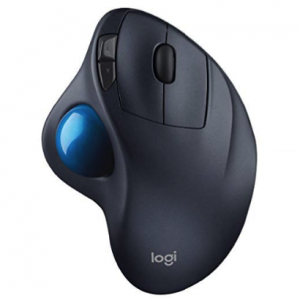 Something that makes this mouse different is the trackball functionality which makes the mouse static, means you don’t have to move the mouse anymore instead play with the trackball to move cursor thereby eliminating one major stain to the wrist. There is a crucial but a less worrying catch that this may not be an ambidextrous mouse since the trackball falls into the left side of design made compatible for the right-hand thumb, so it’s a question mark for left-handers. Vertical ergonomic mice are a new genre in ergonomic niche and these mice might look little alien tech with an odd UFO kind of shape, but once you hold it in your hand, rest will be justified by performance. 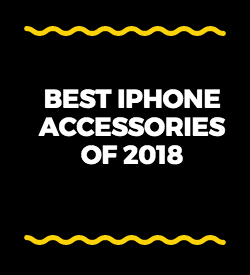 Anker has led many innovations in the computer world and their AK-UBA model ain’t no different. 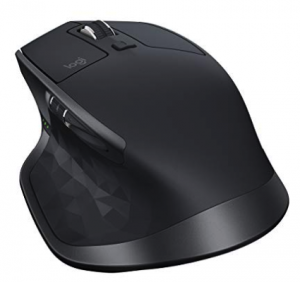 With cross-platform compatibility, this 5 button wireless mouse has a keen optimized design favoring internet junkies with two dedicated buttons for next/previous functionalities. Sadly this is no rechargeable variant, but the price would justify that part with an affordable $20, making it a choice for most. Power saving mode in the mouse would ensure a long show with two AAA batteries. 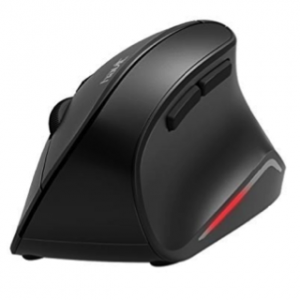 Anker products most often come with warranties and in fact, this mouse offers an awesome 18 months hassle free warranty. 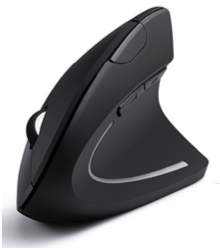 Good news left-handers, you have not left alone; Adesso feels your pain and that’s why iMouse E90 has been sculpted particularly to meet your design needs. While there isn’t much variation from a standard ergonomic mouse, a dedicated design for left-handers has everything chiral from a standard right mouse. 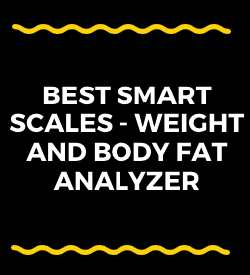 Sturdy plastic body with a vertical profile and dedicated six buttons would ensure faster, easier and minimal movement navigation. There are two assigned next/ previous buttons for agile net browsing, and tilted scroll towards more right side makes the user experience more comfortable. The mouse is powered by two AAA batteries and it’s a super cool deal at $24 price range with an optical 4 DPI tracking sensor. The 2.4 GHz wireless connection ensures 30ft of range, however, electrical interference is more common in this frequency range. There is a relatively cheap model of this mouse available which connect with a USB to the computer. This is one of the best budget-friendly mice in the segment with all major functionalities, making it a favorite choice for many newbie users who would like to try vertical ergonomic mouse for the first time. All the features are on par with other standard mice out there in the market, however aggressively priced around $15, this mouse would crack some nuts. The best part is that the design fits comfortably into your palm and all button clicks are within reach of your fingers without any strain. The construction may not be comparative with high-end products in the market, however, it shall be called decent. A Nano receiver is present to channel wireless communication with the computer and the device is powered by 2 AAA batteries which are not included in the package. 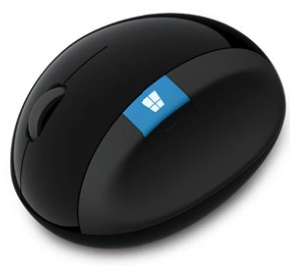 When Microsoft does it, it is simply a charm and you all would agree on this when you have the first glance at this mouse. The design shall be called ‘cute’ due to round and bumpy pod-like structure with amazing plastic ABS construction. What makes it special is the brand and presence of a one-touch Windows home screen launch button. 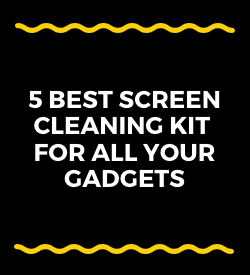 Apart from that, there are 6 more buttons for added functionalities placed comfortably within the reach of your fingers. The scroll wheel navigates 4 way and streamlined grooves would ensure minimum stain to your wrist. While all the features are highly satisfactory one major factor is left unchecked by the seller Dell and it is the price. This non-rechargeable ergonomic mouse is priced around $60 and it is way out of the league; however, the brand value still comes to rescue this discrepancy. Now we are talking about a completely new genre not because we are dealing with another peripheral, but we are talking about gaming! 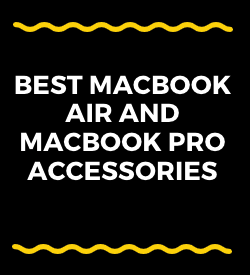 When it comes to gaming, all computer peripherals are called gaming accessories, and they are filled with a different blood with much superior performance and extended functionalities from standard versions. Razer Basilisk is a gaming specific ergonomic mouse from Razer and spec sheet would blow your mind. Talking about tracking capabilities, 16,000 DPI mouse has a 450 inches/sec tracking ability and the resolution accuracy is around 99.4% ensuring full throttle gaming experience. 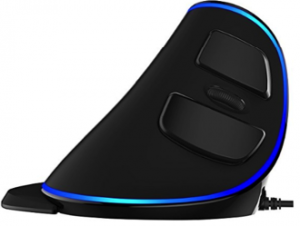 The body is made of highly durable plastic with mechanical tactile buttons capable of taking 50 million clicks and ergonomic factors with a multi-functional paddle, customizable scroll wheel makes it a complete gaming kit. The highlight is Razer Chroma, which is visual effect in gaming accessories by Razer. 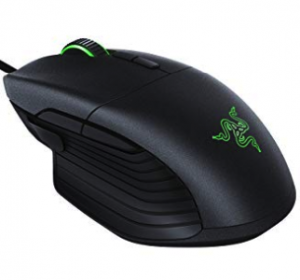 So if you are a gamer without a second thought you can go for Razer Basilisk and the price tag is fairly reasonable as well, but keep in mind this is a wired mouse. 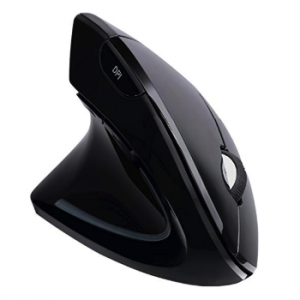 This vertical ergonomic mouse is sculpted to fulfill your extended computing needs and the customer rating would speak the rest. The fancy looking design also fulfills the standard fatigue-free mouse needs, also to add a pinch of style they have added blue led, giving it a cool effect when powered. 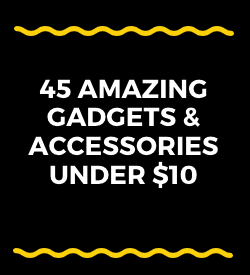 This model has both wired and wireless version with a reasonable $10 gap between two. With wireless one priced around $28, this mouse is a great deal for the features it offers. J-Tech mouse has a detachable palm rest so that those aren’t comfortable with the same shall remove it. Something worth mentioning is the built quality offered with sturdy ABS plastic with grain black matte finish giving it a fierce look. With three adjustable levels of DPI settings and cross-platform compatibility, this is a good deal. 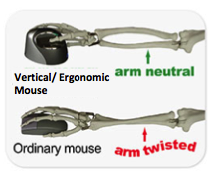 While going for an ergonomic mouse always be sure that you check whether it is a left or right-handed mouse since these mice have an odd shape with scroll wheel placed according to uses dominant hand. So all that being said, this is the end of the list, for now! But stay tuned for the next part.